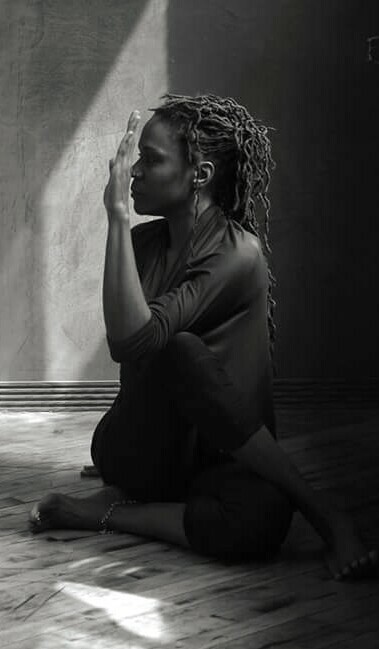 It seems that the breath is the first place we become disconnected from the body—in daily life, in stressful situations, in over-concentration. The breath is also a wonderful tool to bring you back to the moment, to bring you back to your body, back to the recognition of what the mind is doing. It reminds you to expand, to fill up the space within you with air, and then… to let go. As a yoga instructor, I try to remind myself of this often as well as convey it to my yoga students. Yoga is about so much more than physical activity. It can be very athletic; however, it is also about balance and connection to the breath. In the Yoga Sutras it states that yoga is a place of comfort and stability. How do you find that place in a difficult pose (or a difficult situation)? Can you find that balance between strengthening and relaxing, between effort and repose? Can you find places where there is unnecessary holding—in the jaw, in that space between the eyebrows, in the mind, in the breath…? It is wonderful to challenge oneself, always, but it is also necessary to make sure you maintain room to breathe, to find a space that you can soften into. Let go of holding that restricts the flow of breath and movement, to release the past and the future, and simply breathe in the moment. Monica J. Brown has been teaching Hatha Yoga since 2002 when she received her certification through the Temple of Kriya Yoga, where she studied under the tutelage of Mahaswami Kim Schwartz. She is an RYT-200 (Registered Yoga Teacher) with Yoga Alliance. She has attended workshops with Tias Little, Desiree Rumbaugh, Paul Weitz (Thai Yoga Therapy), Per Erez, Krishna Kaur, Sarah Powers and others. Monica is also a Thai Bodywork/Shiatsu Therapist. She attended the Chicago School of Thai massage and received her certification under the instruction of Paul Fowler and Paul Weitz. She is a registered member of THAI (Thai Healing Alliance International). She has also completed Shaitsu Levels I & II at Zen Shiatsu Chicago. Thai Bodywork & Shiatsu are ancient energy-based healing system which, like yoga, helps to bring the mind/ body/spirit complex back into balance. It is practiced on a mat on the floor, and the recipient wears loose comfortable clothing. It includes yogic stretches, acupressure and compression. Deep relaxation, release of stress and tension, and increased flexibility are some of the benefits of this healing modality. Thai Yoga Therapy is chakric healing. It helps rebalance the body’s energy centers through clearing the energy lines (sen, meridians) that run through the body. This work can be transformative and healing on a psychological level. There are layers of subconscious memories that we hold in the body – both from experiences and the emotions produced by these experiences. Health can be facilitated by the peeling away of these layers that block and clog the free flow of energy through the body. Thai Yoga Therapy aids in removing some of these blockages and releasing old stagnant energy. It strips away emotional “gunk” and unearths toxins held in memory allowing prana to move through the sen like a refreshing breeze.